This morning, we finish our journey through the book of Acts. And we finish by going back to the beginning of the book of Acts, to a story about the choosing of Matthias as the twelfth Apostle to replace Judas. We go back to this story because there is good news in this story, good news that empowers those first Apostles in their mission, and can empower us today in our mission. The good news is the Easter Good News that nothing can get in the way of God’s loving mission to bless this world and every person in it. The persecution of the government can’t stop it, for God raises up new witnesses. The big political power brokers can’t stop it, for God resurrects what they kill. The disciples in their betrayal and running away can’t stop it, for Jesus forgives them and invites them to carry on. Even Judas and his particular betrayal can’t stop it. God’s plans cannot be held back. God’s mission and ministry, revealed to us through his Son, Jesus – a mission and ministry to all people – will continue: to the rich and poor, to the Jew and Gentile, to men and women, to the aged and the young. God will continue to choose people to be part of something much larger than themselves. God’s plans cannot be held back. This morning’s readings are kind of remarkable when you look at them all together. They show God’s amazing confidence in those he calls. They show God’s amazing confidence in you to continue the ministry started in Jesus. In John’s Gospel this morning, Jesus speaks of his disciples more highly than he does anywhere else. We’re so used to Jesus having to deal with blockhead disciples that this comes as rather a shock, and as kind of refreshing. On the night they will betray and abandon him, Jesus sees something else in them. Jesus sees that there’s more to them than they themselves see. Jesus says that he has given to them, and to us, his word. And Jesus says that he has sent them, and us, into the world to continue his mission. Jesus here displays a lot of confidence in the disciples, and in us; a lot of confidence that ultimately the God of all mercy and the God of all compassion can work through them, and through us. They will make mistakes, they will stumble; but that’s not the end of the story. The end of the story belongs to God, and God has a plan for them, just as God has a plan for us. Jesus sees who they really are. Jesus sees their potential. They are capable of bearing the divine light and love to all in any need. Jesus sees that in them, and in us, and Jesus invites them, and us, to grow into that true identity. Jesus sees you in your potential. I heard an encouraging story from prom this year. Some of the high school youth, who had been working at Colony Court during the year, helping with activities, and getting to know some of the residents, made a visit to their new friends at Colony Court on prom night. They took the time, on their busy prom night, to go to Colony Court and show their dresses and tuxes and to share their joy with others who would not be able to attend the grand march. The mission and ministry of Jesus involves taking time to stop and listen and care, and to share the joy of the Risen Jesus, active in our lives and in the world. Jesus says that you’ve been given to him for the purpose of continuing his ministry. “You gave them to me” says Jesus in his prayer. And that includes us. Do we ever consider that we are gifts to Jesus? Just as Matthias is chosen, so we are chosen. Just as Matthias is given to Jesus, so in our baptisms, we are given to Jesus. You have what Jesus needs to continue his mission in this world. Do you ever think about that? Not too long ago, a visitor to our church said to me, “I have never encountered a more welcoming congregation.” The way you care for one another, your faithfulness in worship, your generosity in giving, and your willingness to step up and do what’s needed – when we do that, we are living into who God is calling us to be, into the potential Jesus sees in us. “You gave them to me,” says Jesus in this prayer. We are gifts to Jesus, given to him for the purpose of continuing his ministry. Now this is hard work. And it’s challenging work because there is so much that pulls us from it. Older adults have to contend with a culture that tells them, “Retire, relax, and let someone else do it.” Younger adults, meanwhile, have to contend with a culture that says, while church is important, there are other things that are more pressing; activities, obligations that claim one’s time and seem more important. Jesus’ calling, his purpose in our lives, will sometimes challenge those cultural assumptions. Jesus calls us to be active in his mission, as we are able; and Jesus calls us to seek wisdom in setting priorities among all the competing demands in our lives. Even though we are given to Jesus, which is ultimately a gracious thing, it is not an easy thing. And so, the good news we find this morning in our reading from John’s Gospel is that Jesus is praying for us. 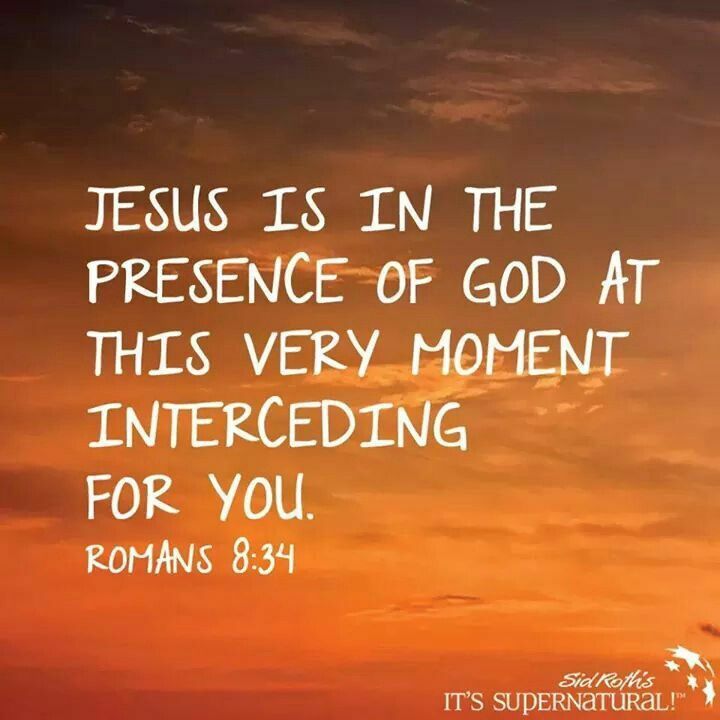 Jesus prays that we might trust that he comes from God, and that he shows us the truth about God – the truth about God’s love for us, God’s purpose for us, and God’s promises to us. Jesus prays that we might be sent into the world even as he was sent into the world, to participate in his work of bringing healing to this broken world. Jesus is praying that we might be witnesses to him through our life; witnesses to Jesus’ grace, courage, love, and generosity that he brings into our midst – so that, when people see our life, our words and our actions, they will see Jesus in the world. In other words, Jesus is praying right now that we might witness with our lives to his resurrection from the dead, just as Matthias was chosen to do long ago. It’s powerful, isn’t it, to know that Jesus is praying for us? I invite you to think about a question this morning: What do you need in order to be a follower of Jesus? What do you need in order for Jesus’s ministry to continue through you? Take heart. Along with Matthias, we have been given to Jesus and to his continued mission in this world. But, along with Matthias, we are not alone. Jesus is praying for us. Time after time, sermon after sermon you reassure all of us that we matter to God, that we are worthy of His love! After reading your sermons, a peacefulness settles in me. Thank you! !